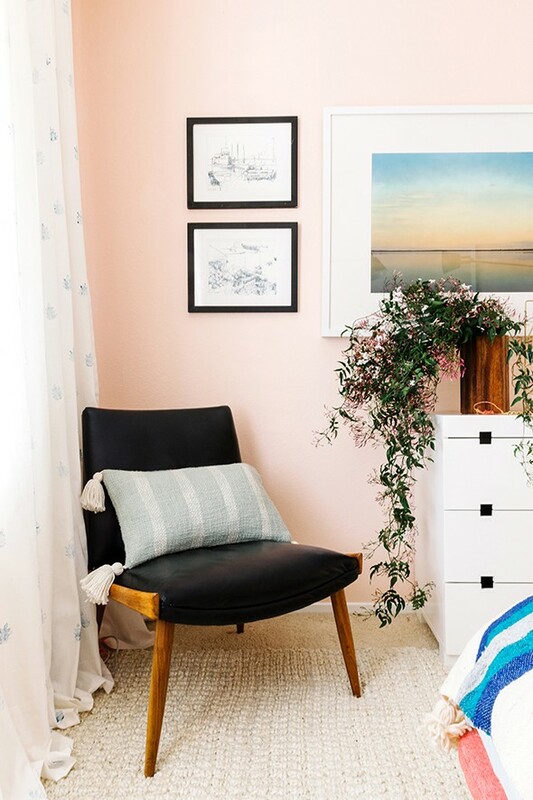 It’s week 4 of the One Room Challenge! 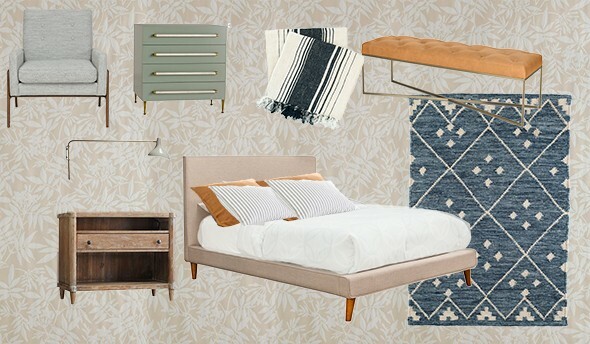 Today we’re talking about bedding and rugs! We’re thinking of doing a project sort of like this simple DIY for the curtains in our ORC master bedroom space! 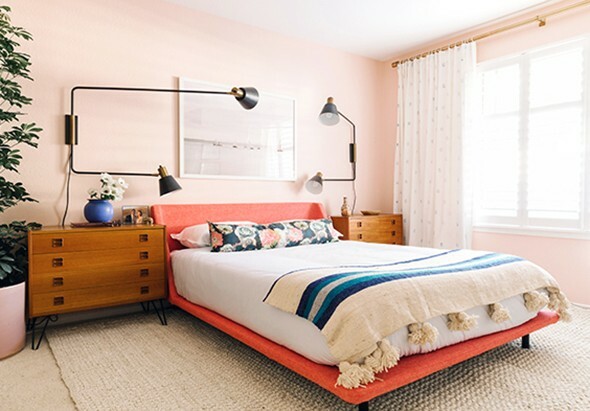 I love the subtle block print we did here in Lucy’s bedroom! 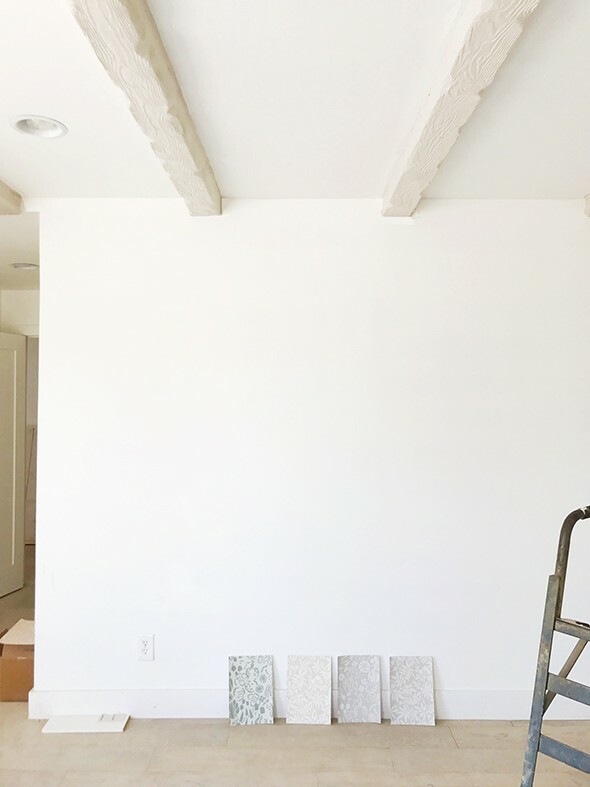 We’ve got some beautiful windows in the Gentry house project and I want to keep the room bright and light but still have lots of privacy in here obviously! Speaking of bright and light, check out these beams! Love how this spaces is coming together! Some of our orders have started to arrive and it’s getting us super excited for this room to start coming together. 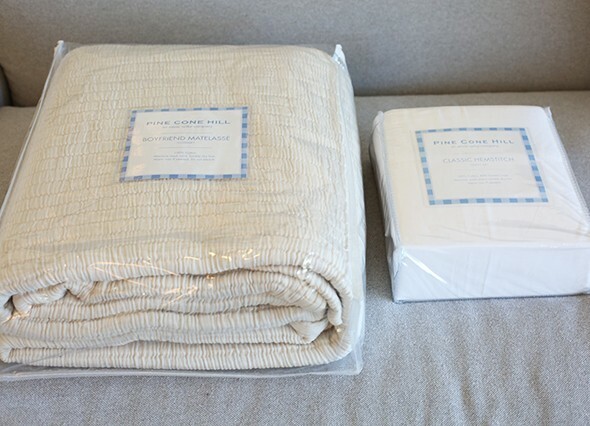 We were especially anxious to open up our Dash & Albert rug and our Pine Cone Hill bedding from Annie Selke. 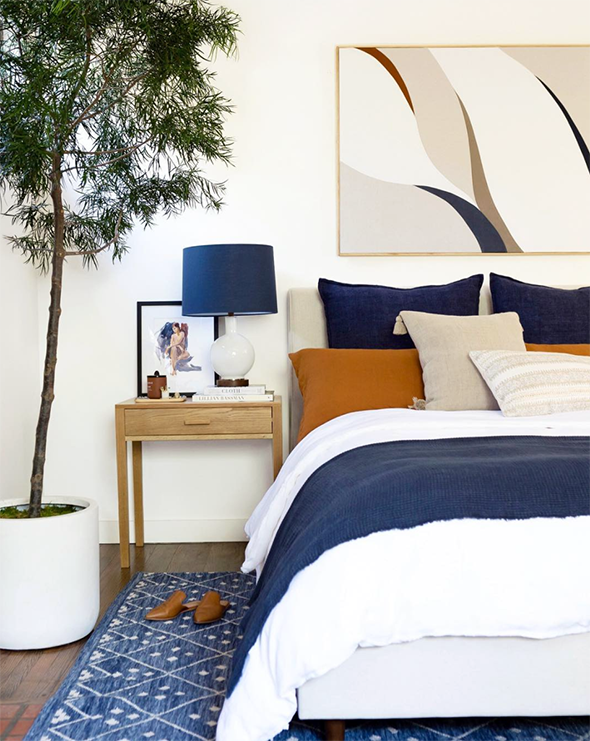 I usually choose to go neutral on bedding so there can be fun pillows and accessories that pop. I picked these simple hemstiched white sheets and this beautiful ivory coverlet. They are both so soft and gorgeous! 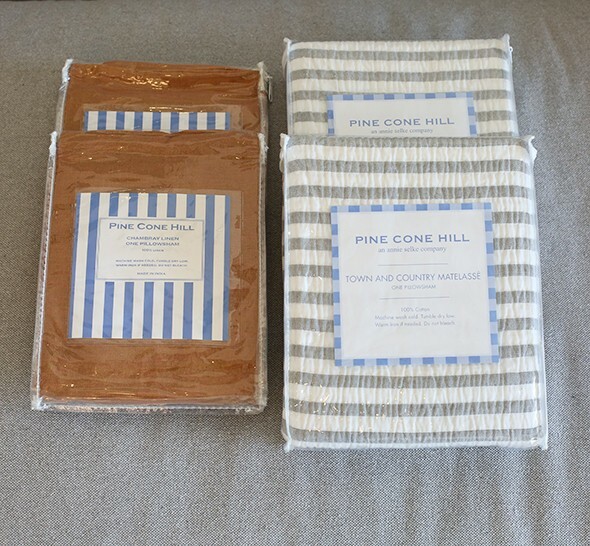 I have Pineconehill sheets on my bed at home and they wash SO well. 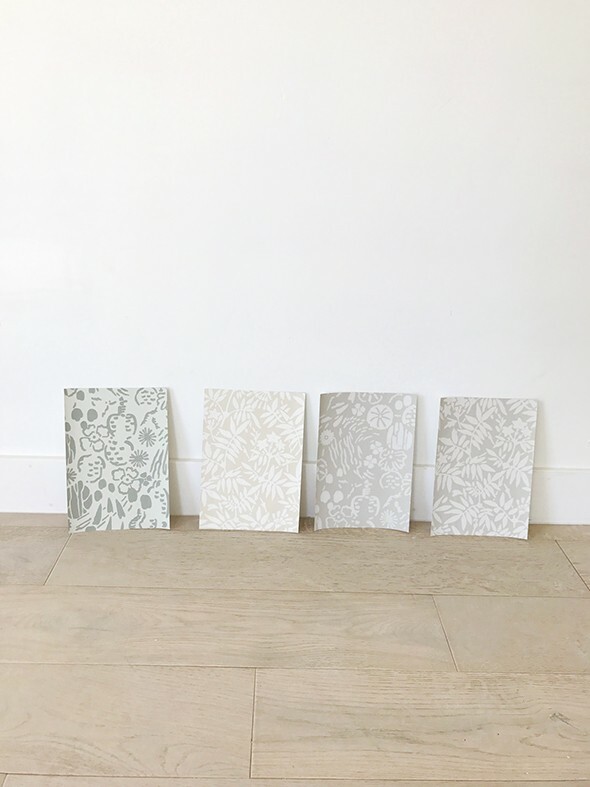 We will pull in some color and texture with these beautiful terracotta colored linen shams and gray and white striped shams. 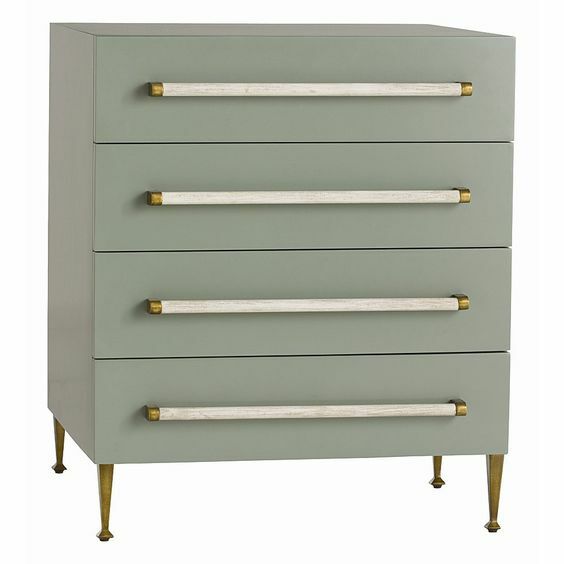 Won’t these be so pretty with the rug color and the gray-green dresser DIY? 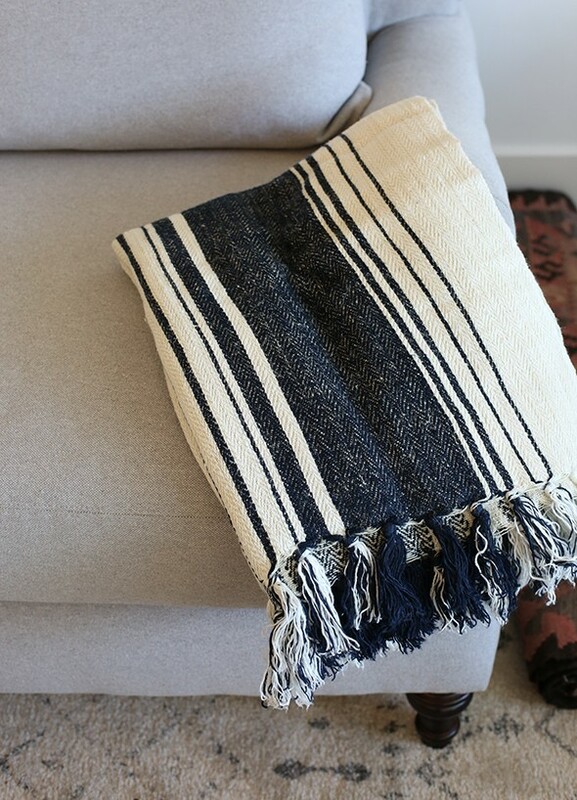 We also ordered this striped throw for either the foot of the bed or to throw over the Tablet ottoman from Article. I thought the stripe was black but it actually a suuuuuuuper dark navy and I’m OBSESSED with it. Love the fringe too! It’s so fun to get new deliveries every day! :) Have you been following along with the other participants? So many exciting updates this week! I love this room, everything! You nailed it. Where is the chair in the third picture from the top from? Thanks! It was a lucky vintage find! Milo Baughman designed it. If you want to know about where all the program in windows 10 then visit our webpage http://allprogramswindows10.com and know everything about windows 10 online. I want to buy Tessitura Rug for my room. My room color is blue. 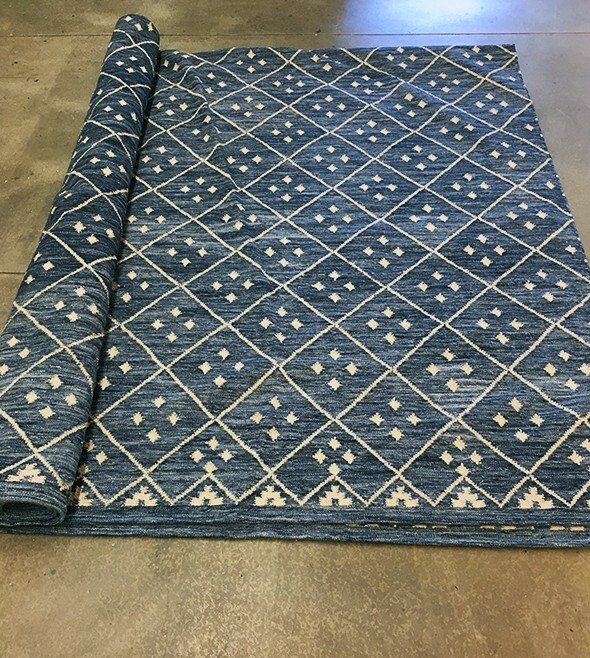 Which Color rug should I buy??? I want new color Combination so can u suggest me.